CEIA Security Metal Detectors are the most advanced metal detectors that are able to detect items from conventional weapons to small metallic objects, such as a razor blade, while still providing optimal immunity to environmental interference. 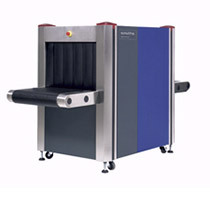 These metal detectors provide high throughput due to their superior discrimination towards personal effects. CEIA Metal Detectors are Safety Act Certified by the Department of Homeland Security. Smiths Detection Heimann X-ray Inspection Systems play a key role in optimizing security measures in a variety of environments. Advanced X-ray imaging technology helps identify weapons, explosives, and contraband. With the broadest range of X-ray system configurations available, including conventional, mobile, relocatable, and fixed-site, an X-ray screening solution is available to fit your application. Smiths Detection Heimann X-ray Inspection Systems are Safety Act Certified by the Department of Homeland Security. Smiths Detection has the most comprehensive range of technologies to detect chemical and biological warfare agents, toxic industrial chemicals, radiation, explosives, and narcotics in your lobby, receiving docks, mail room, HVAC system, and other areas in your facility. Smiths Detection has engineered a portfolio of security solutions designed to better secure your facility against accidents and threats. 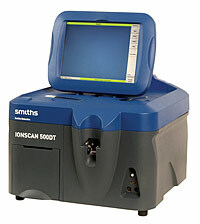 Smiths Detection People Screening Systems help close a gap that other screening technologies cannot fill. Facilities can go beyond detecting metals and also detect plastics, ceramics, liquids, narcotics, etc. that are concealed on or in the body.